America’s too-big-to-fail cabal is nursing $130 billion in damages. That’s the amount of market value swiped from the nation’s top six banks in the past two weeks. The shares of all but Wells Fargo now trade below book value, suggesting stockholders are bracing for a year or more of pain. Whether they’re right looks like a toss-up. Few banks ended 2015 on a high note. JPMorgan, which reported fourth-quarter earnings on Thursday, needed a few one-off boosts to eke out an annualized return on equity of 9 percent – just below the 10 percent considered necessary to cover the cost of capital. 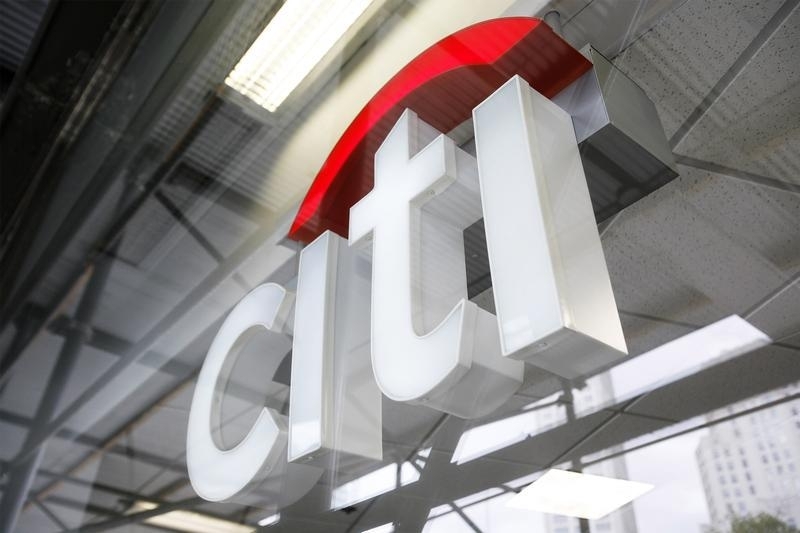 Citigroup managed just 6 percent for the three months to December. Wells hit a decent 12.2 percent, but as with rivals, revenue is barely growing. Yet all are doing more business: JPMorgan’s core loans rose 16 percent last year, and credit losses are near all-time lows. Banks will have very little leeway once debt problems arise. Those seem limited at the moment to the energy sector, with low unemployment and falling oil prices cause for optimism. And if the Federal Reserve raises interest rates again, banks should earn a bit more – though not enough to substantially increase returns. Low or non-existent growth is nothing new, though. What’s changed is that investors are increasingly concerned that China’s troubles presage global economic problems that could hobble America’s plodding recovery. As a result, Citi and Bank of America are trading at less than two-thirds of book value. Morgan Stanley has fallen to 75 percent of assets minus liabilities, Goldman Sachs to 92 percent and JPMorgan to 94 percent. That means shareholders are assuming either that the banks will earn less than expected or that the value of loans, bonds and other assets on their balance sheets is overstated – or both. BofA, Goldman and Morgan Stanley have also dropped below tangible book value, which strips out goodwill from acquisitions and other amorphous assets. That’s a dubious distinction that in the past year or two was limited to Citi. Investors may be overreacting to China’s stock-market ructions. If so, now is a great time for bank executives to buy back stock. If not, Wall Street’s largest firms are in for a bumpy ride. Citigroup on Jan. 15 reported fourth-quarter net income of $3.3 billion, or $1.02 a share. Stripping out the hit from marking its own liabilities to market increased earnings to $1.06 a share, beating the consensus estimate of sell-side analysts of $1.05 a share. Revenue was $18.5 billion, compared with estimates of $17.87 billion. Annualized return on equity was 5.9 percent. Wells Fargo also reported fourth-quarter earnings on Jan. 15. Net income was $5.7 billion. At $1.03 per share, it beat the consensus estimate of sell-side analysts of $1.02 a share. Revenue was $21.6 billion, compared with estimates of $21.8 billion.